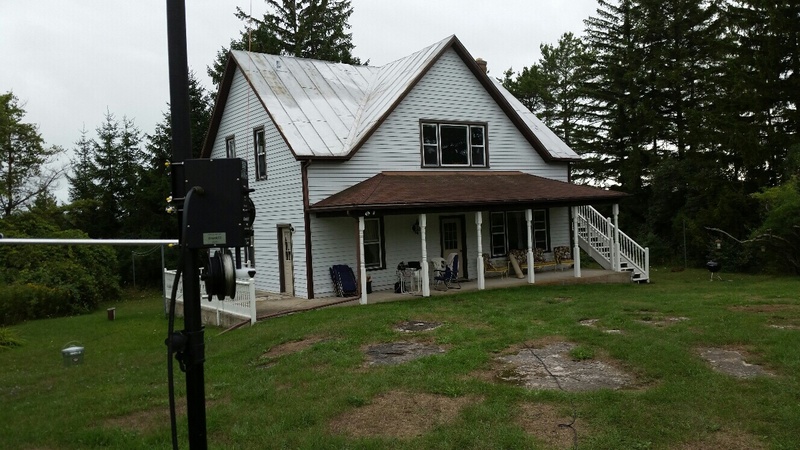 For a good part of last week I was on Washington Island, Wisconsin – US Island WI-001L – operating from my friend George W9EVT’s shack. I had informally set myself a DXCC in a visit goal. Despite poor weather I didn’t come too far short. The first 16 QSOs I used George W9EVT’s Icom IC-7800 and then for the remaining 174 QSOs moved over to the Hilberling PT-8000A Transceiver. I’m rather sure that without the storms and lightening, that 100 DXCC entities wouldn’t have been much more work. 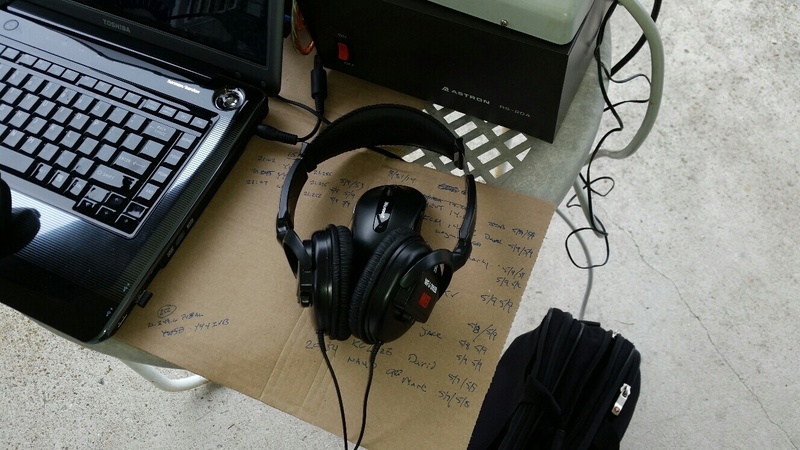 In addition to the DX, I also worked a “Clean Sweep” on the Ham Nation special event and a handful of special event stations that caught my interest. I did fudge and organize one sked – I had called and arranged to work my good friend Paul AE5JU as my final QSO for the visit. Nothing finer to “close the logs” with working a good friend about 1000 miles away! While I only added two DXCC entities to my all time list, the exercise was a lot of fun for both myself and George W9EVT. Here further south in Wisconsin the team is myself and Scott W9JSB. We may add one or two more hams, but they haven’t confirmed as I wrote. Plan is The Friday evening part (May 9th 0000Z to dark) to operate from Step-In Island WI039R. 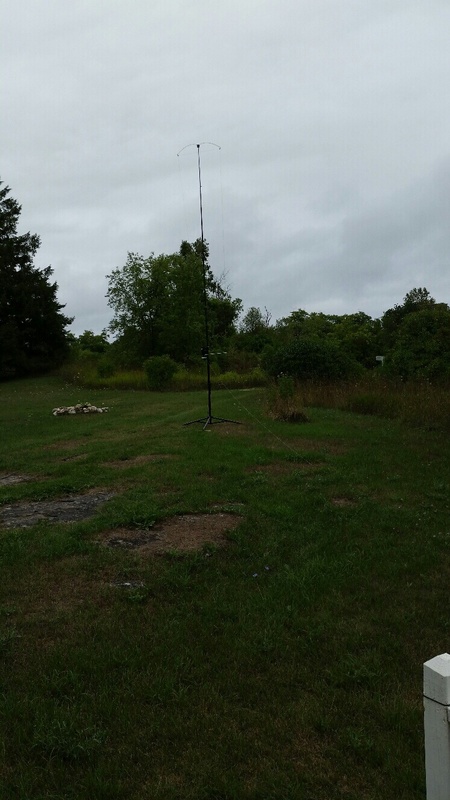 This is a second time activation of an Island in Shoto Wisconsin. Saturday will start with “The Flats” WI041R – an Island in Appleton Wisconsin in the Fox River – with myself running solo, and Scott W9JSB will join after he is done coaching his kids soccer team to do a first time ever activation for Banta Island WI057R. Banta Island is further downstream in the Fox River, still in Appleton. 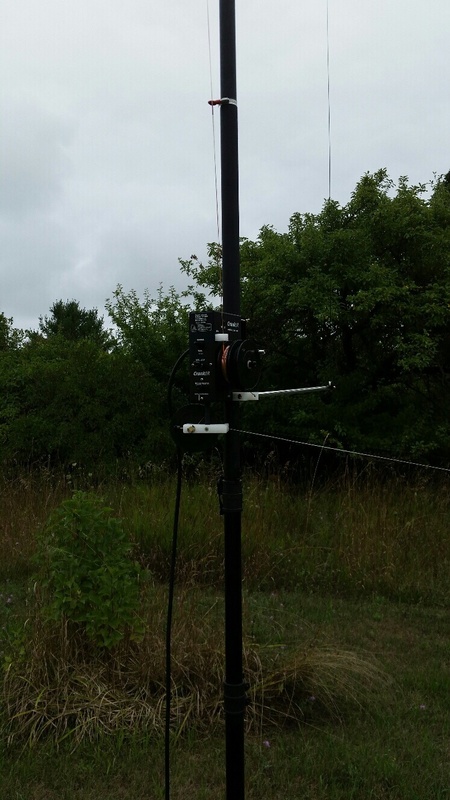 I used this FlexRadio/CrankIR set up with great success for Washington Island WI001L weekends at Rocky Ridge Farm – a place we leased last season about 2 miles from George W9EVT’s QTH. As most folk refused to believe I wasn’t running an Amp and a Beam when I ran the setup from Rocky Ridge Farm, I am hoping the same performance will work for the team for the One Day Getaway. Appreciate some help for the first time activation! We need at least 25 confirmed QSOs with a minimum of one DX QSO to make the activation of Banta Island WI057R official. Hoping we can catch many of you on the air that day! This weekend is my third working the CrankIR and the Flex-6300 from Rocky Ridge Farm on Washington Island. Getting past the learning curve. Was too chilly to comfortably operate outside, so set up the radio inside one the kitchen table. Easy DX this time and I’ve figured out the band change process pretty well. Worked on 10m, 12m, 15m, 17m, 20m, and 40m. 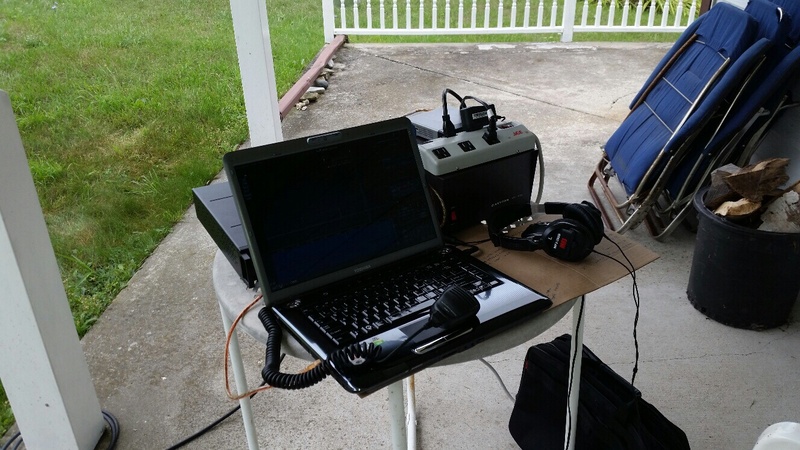 Even though we have leased the farm for months, I first got around to setting up a portable station this weekend. 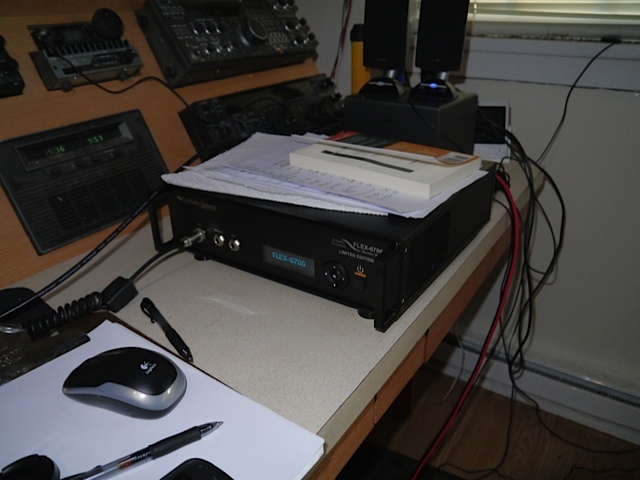 Usually when I am on Washington Island I have the luxury of guest operating from George W9EVT’s mega-shack, and even in this attempt George W9EVT saved the day helping me get on the air. This was our first use of the CrankIR and the Flex-6300, so we had a bit of a learning curve. 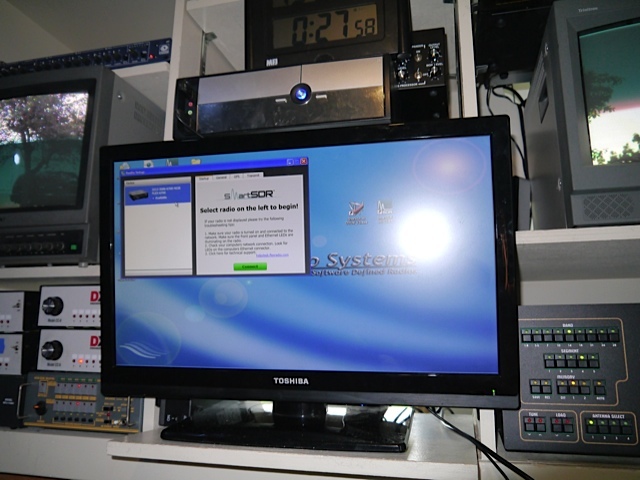 It was also a fresh install of SmartSDR, SmartCAT, DAX, and fldigi on the Toshiba which all had to be configured. Pictures cannot convey the experience of doing a first time setup of the CrankIR – an easy task once you’ve done it, but a dickens the first time. Winston KC9FVR helped the first setup and I don’t think I could have done it first time without my son’s participation. 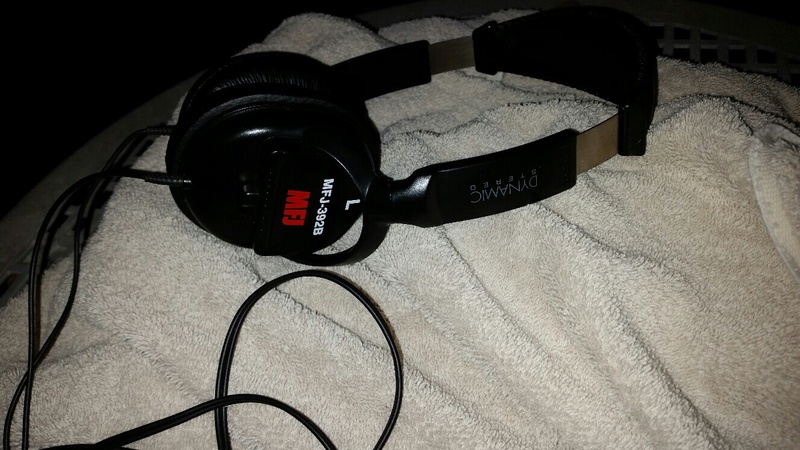 I quickly discovered I had no audio out – I forgot to bring a headset or speakers, and ten Flex-6300 does not have an internal speaker, so my initial efforts were digital mode. No joy there as my signal apparently wasn’t readable on PSK31 and without audio out the portable stup wasn’t going anywhere. So the next day, hat in hand, I borrowed a headset from George W9EVT and switched to SSB. Fairly quickly I was able to work a good number of stations on 20m and 15m phone, including several DX stations. Found that the software juggling on the laptop was a pain, and ended up doing all the logging on the cardboard tabletop cover I used to have a mouse-ready surface. 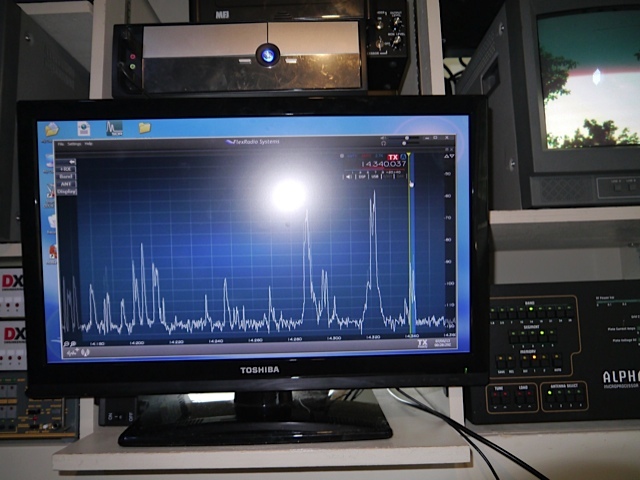 Later I entered the QSOs into eQSL and I’ll import the adi log file into my main log later. Mother Nature ended my activation early as it started to rain and the winds started whipping. Knocking everything down went smoothly and with Labor Day still windy & rainy, further Rocky Ridge Farm activation will wait for another day. Of course I have updated my gear checklist to include headphones and speakers for the next activation. 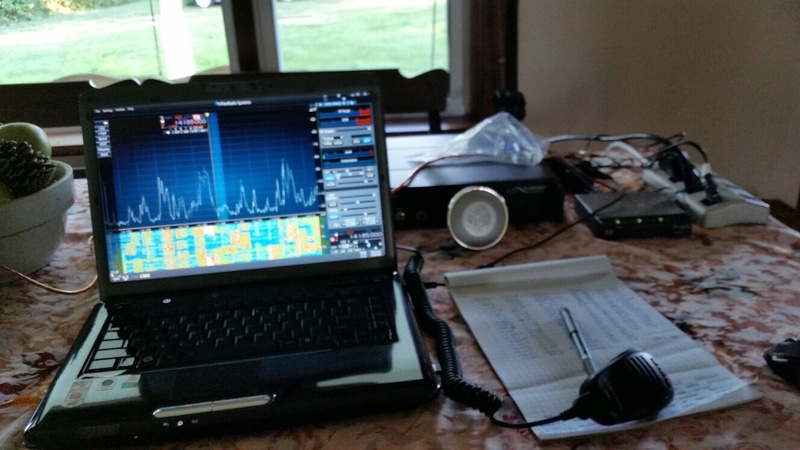 Just a few pictures from my testing session at George W9EVt’s mega-shack on Washington Island, Wisconsin over the July 4th Holiday 2013. Installing SmartSDR Preview Edition was a snap. I’ll have a write-up on my impression and comparison results this weekend coming. 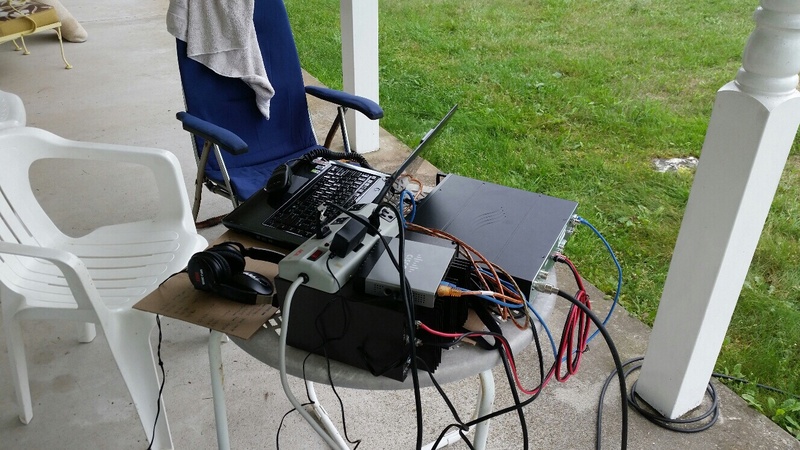 Weather has interrupted the testing with George W9EVT is hosting on WI-001L Washington Island, and the internet we use. Pictures and updates will have to wait until my return.